These mini peanut butter cheesecakes are made a little healthier with natural peanut butter and honey and can be made gluten-free, grain-free, and 100% whole grain! Looking at these pictures, the cheesecakes look a little funky, right? But I swear they’re not! They have a regular cheesecake texture and don’t taste odd at all. The cheesecake portion comes from my peanut butter cheesecake brownie bars. They also look kind of weird but taste amazing. I’m pretty proud of these cheesecakes (which hopefully doesn’t sound obnoxious!) as it seems like few peanut butter cheesecake recipes use natural peanut butter. At least that was true when I made those brownie bars last year! The crust is probably my favorite part. It’s like a totally homemade Oreo cookie crust. You can make it with whole wheat flour or if you want a grain-free and gluten-free version – buckwheat flour! If you make the cheesecakes with buckwheat, then they’re also 100% whole grain. If you find it confusing that they can be both whole grain and grain-free, please read my ingredients page! I dare say that this homemade Oreo cookie crust is even quicker and easier than crushing store-bought cookies and adding butter and sugar. And even better, there’s no food processor bowl to clean! I hate cleaning that thing. If you love chocolate + peanut butter like I do, this 5-ingredient Buckeye Dip from A Mind “Full” Mom looks like another great option! I actually made these back in March when I posted these mini Irish cream cheesecakes. I was so in love with them that I made these mini peanut butter cheesecakes and three other kinds on the same night. They’re sooo much easier than a full-sized cheesecake. I really don’t think I’ll make one of those ever again. They’re just too fussy and I simply can not let anything chill for 8 hours before cutting into it. Want a dairy-free version (with a paleo version)? Try my vegan no-bake peanut butter pies! They’re banana-based but I swear… they’re so good! Preheat the oven to 350 °F (175 °C). Line two muffin pans with 16 muffin liners. Note that this crust recipe does not work in a regular pie pan – only as mini cheesecakes. In a large mixing bowl, mix the sugar, flour, cocoa powder, and salt together. Using an electric hand mixer, beat in the butter at low speed until thoroughly combined. It will be very crumbly. If you have trouble incorporating it, use your hands (it'll be very sticky). Divide the crumbs between the muffin liners (I used 19 grams of crumbs per liner). Press down lightly with the bottom of a shot glass. If using whole wheat, bake for 11-13 minutes or until the crust no longer appears wet and move on to the next step. If using buckwheat, bake for 14 minutes. The crust will likely bubble and you may have some small holes in the crust. After removing from the oven, use the shot glass again to lightly press down (which will remove the holes). After baking, the crust will still be soft but will firm up as it cools. Let cool for 10 minutes while you prepare the cheesecake. I turned off the oven for about 5 minutes and at that point, it was at 275 ºF (135 ºC), which is the temperature you need to bake the cheesecakes at. You can alternatively immediately turn the temperature down to 275 ºF (135 ºC) after removing the crusts. Preheat the oven to 275 ºF (135 ºC) (if it's not already). With an electric hand mixer, beat the cream cheese and honey at medium speed until well combined. Add the peanut butter, milk, vanilla and salt and mix at low speed until combined. Add the eggs, one at a time, and stir just until well incorporated. Do not over mix! Fill each cup almost to the top with batter and bake for 20 minutes or until the middles of the cheesecakes are set and don't jiggle when the pan is tapped. Turn off the oven, open the oven door (at least 1 foot), and let the cheesecakes cool in the oven to prevent cracks from forming. Once completely cool (about 1½ hours), remove from the oven. In a small pan over medium-low heat, warm the cream just until it almost starts to simmer and then remove from the heat. Pour this over the chocolate chips and stir until all the chocolate chips are completely melted. Let cool for about 20-30 minutes or until room temperature. Pour over the chilled cheesecakes. Top with chopped peanuts and mini chocolate chips, if desired. Despite its name, buckwheat is not related to wheat and it is not a grain, but a pseudograin. 46 comments on “Mini Peanut Butter Cheesecakes (gluten-free, grain-free, whole grain options)” — Add one! Hi! I’m so excited to try this! I searched forever on Pinterest for a mini gf cheesecake that didn’t involve buying gf graham crackers or cookies for the crust. I found your pic there, but it lead me to a spam site. I’m not sure what that means—someone stole your pic? Not sure what you can do about it, either. I was still able to find your site by searching for the name of the recipe you had on the photo, though. I can’t wait to try these! Hi there! I’m so happy you were able to find the recipe. :) Sometimes people take photos from others and upload them onto Pinterest and send them to spam sites. Unfortunately there’s nothing to really do about it. But thank you for letting me know! I hope you’ll enjoy the cheesecakes. I’d love to hear how they come out! I also have these mini cheesecakes if you prefer a different crust and regular cheesecake filling. I want to say it looks so yummy and delicious! Is there a way to make it as one big cheesecake instead of mini ones? Thanks, Eda! :) I’ve tried this crust in a pie pan and it unfortunately doesn’t work so I’m pretty sure it wouldn’t work in a springform pan, either. If you found a different crust to use, then the next problem would be that I don’t have a clue how long you’d need to bake the cheesecake for. Sorry I couldn’t be more of a help! These cheesecakes look cute and very yummy! 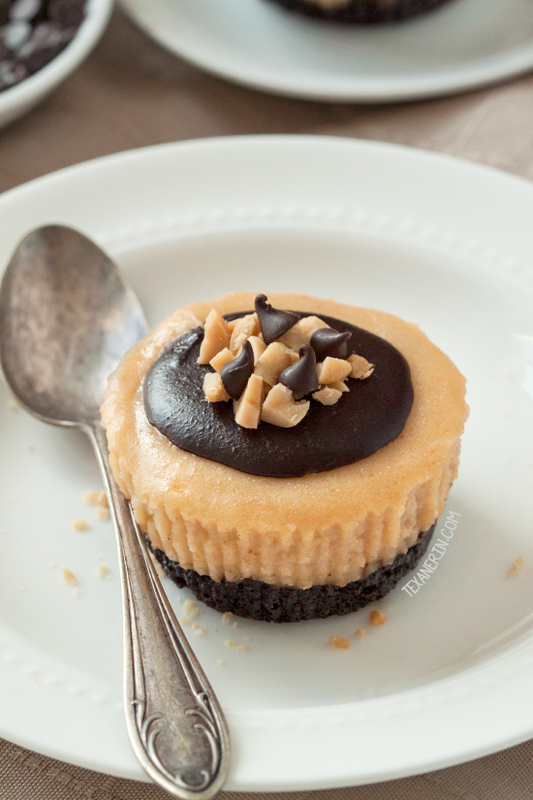 I would totally be proud of these mini PB cheesecakes! I’d love to have MANY of these! Just made these for a dinner party tonight and I’m wondering when is best to remove the muffin liners? After they are cool? I’ve made mini cheesecakes before and the muffin liners took lots of cheesecake with them so I want to avoid that this time. Thank you – that worked perfectly! I sampled one and they are delicious! Awesome! I’m so happy that it worked and that you enjoyed them. :) Thanks for coming back to let me know! 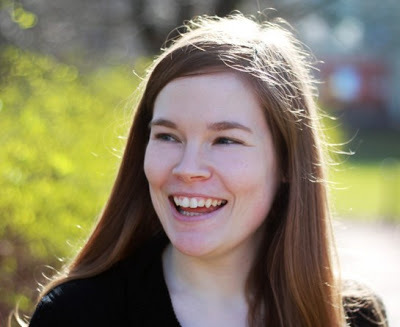 Erin – YES! More grain free recipes! I’m all over this. These mini cheesecakes look so lovely! I bet you’re proud of them — I know I’d be if they were my creation! 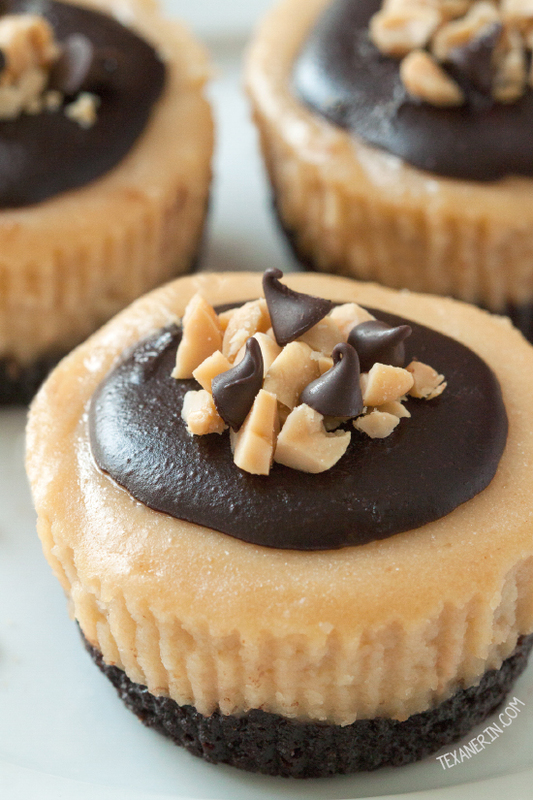 You’ve paired three of my favorite things together here… I can’t get enough of peanut butter and chocolate. When you add in cheesecake my head just starts spinning and I turn into a meme: I can has? I’m right there with you about “natural” peanut butter. I just want some peanuts and maybe some salt. Why do you have to ruin it with sugar and other weird stuff? 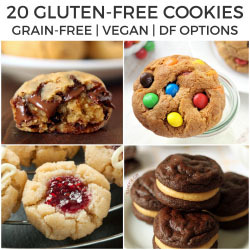 These looks so delicious and I appreciate you giving the ingredient options for making them gluten free and grain free if someone’s dietary needs warrant it. Nice touch. Not obnoxious at all! You did a great job and they look amazing! It’s nice to be proud of ourselves when we accomplish something! These look like absolute perfection! Pinning most definitely. Mini means I’d eat MANY! These sound scrumptious. Haha. Isn’t that the truth! Deceiving little things. Girl what are you talking about?! Those cheesecakes look insanely delicious! And I hear ya..I love Peter Pan peanut butter but can’t bring myself to eat it anymore with all the weird ingredients in it! These cheesecakes look perfect – you should definitely be proud. I love that you used natural peanut butter, too. I love that you use natural peanut butter and I think they look awesome. You definitely should be proud of these cheesecakes! And “hallelujah” that these are made with natural peanut butter, rather than some of the sugar-packed brands. Thank you! :) I actually love that type of peanut butter but it really irks me that some of them call it natural. It confuses people! You had me at cheesecake!!!! You said the magic word – cheesecake!! I could never say no to these beauties! I would be proud too! These looks so crazy delicious! !